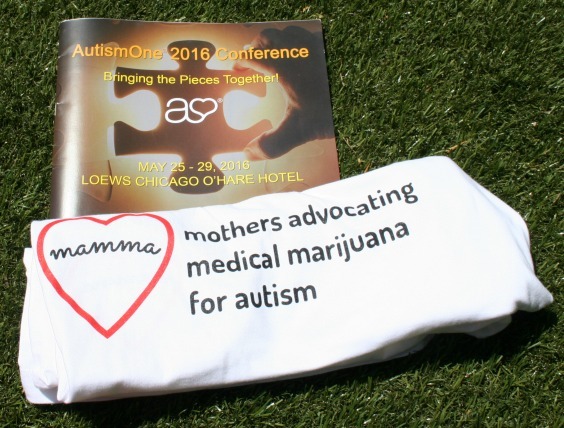 California Cannabis Advocates recently returned from a trip to Chicago for the 15th Annual International Autism One Conference. 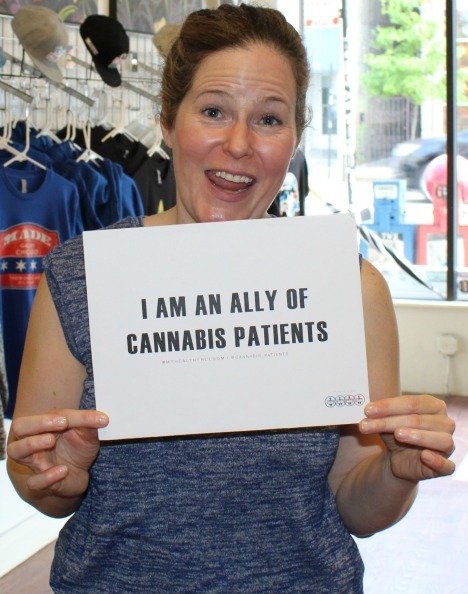 It was a busy trip which included a panel discussion on cannabis, a presentation about activism in your community, and a pop-up My Health Freedom event at the MADE Gallery. The enthusiasm and warm-heartedness of the autism community was contagious. When we arrived at the conference on Thursday, it was easy to tell Autism One had expanded from last year—with 3 separate “tracks” for parents to select, one of which was focused on cannabinoid therapies. Cannabis booth space was also significantly expanded from last year, when there were no cannabis or hemp CBD vendors or informational booths except for CCA. This year. 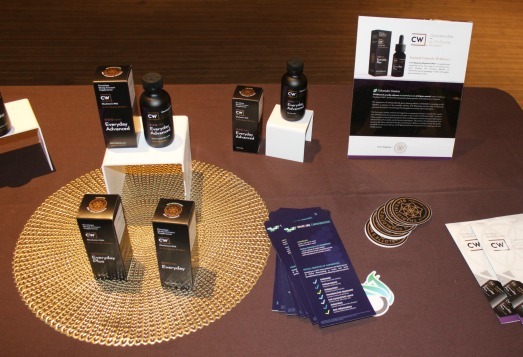 there were booths for 2 Illinois dispensaries (PDI and The Clinic); Realm of Caring & CW Botanicals; 2 hemp CBD companies (Elixinol and Green Remedy); as well as information booths sponsored by California Cannabis Advocates, The Joey Network with Mieko Hester-Perez, and MAMMA—Mothers Advocating Medical Marijuana for Autism. It inspiring to see an entire conference area devoted to cannabis education and vendors, with a variety of state-specific as well as nationally available services. CW Botanicals had the largest booth space and caregivers were very excited about the 25mg sample bottles they were handing out as samples. Attendees were very excited for a company that would mail to them in 50 states, even if it wasn’t technically cannabis—they just wanted somewhere to start they could feel comfortable. The panel discussion was an amazing 2 and 1/2 hour experience, giving plenty of time for everyone to give their views—and then for the discussion to get a little more heated as controversial as participants discussed legislative changes and advocacy work for parents and allies. The mood of the panel was definitely pushing towards dosed and lab tested medicine, with several mentioning the special importance of those factors for the pediatric community. There was also agreement that it is the responsibility of patients and caregivers to advocate for their access and tell their stories, as we do a disservice to our children to pretend we can medicate them in a vacuum, away from societal stigma. Our visit to MADE Gallery was another highlight of the trip, as the owner, Chris, opened his space to us and welcomed the mission of the campaign. We enjoyed meeting the @Illinois_women_in_cannabis there, a new group building community for women in Illinois’ budding medical cannabis industry. 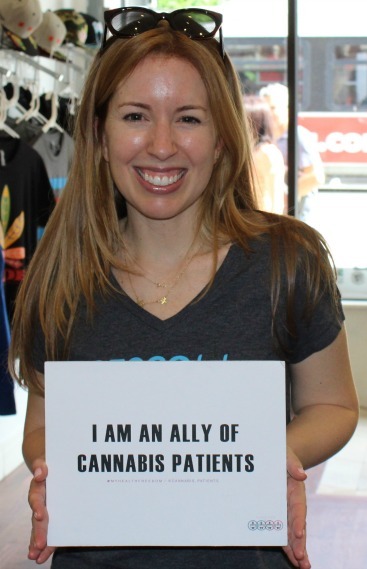 The people we met in Illinois understood the need to fight the stigma against cannabis, we didn’t feel the apathy that many people feel once exposed to unregulated cannabis markets.